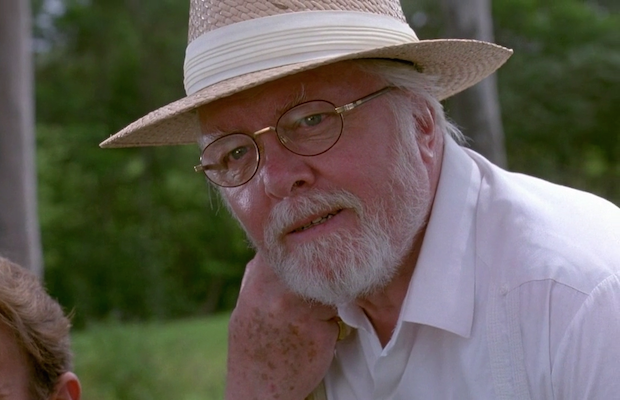 Word is breaking this evening that Lord Richard Attenborough, iconic actor on stage and screen, has passed away. He was 90. Attenborough died Sunday, his son Michael told the BBC in London. The cause of Attenborough’s death is not known at this time, but the famed actor suffered a stroke five years ago that left him in a coma for several days and confined him to a wheelchair since. In total, Attenborough appeared in more than 70 major motion pictures, including The Great Escape, The Flight Of The Phoenix and the 90s remake of Miracle On 34th Street. Our readers will most likely remember him as John Hammond in the first two Jurassic Park films. You can view a clip of Attenborough as Hammond at the end of this post. The LA Times has written a wonderful piece on Attenborough’s legacy that can be found here. we highly encourage you to check it out. Rest in peace, Lord Richard. You will be missed.